John Frusciante shot to fame as guitarist for the Red Hot Chili Peppers. 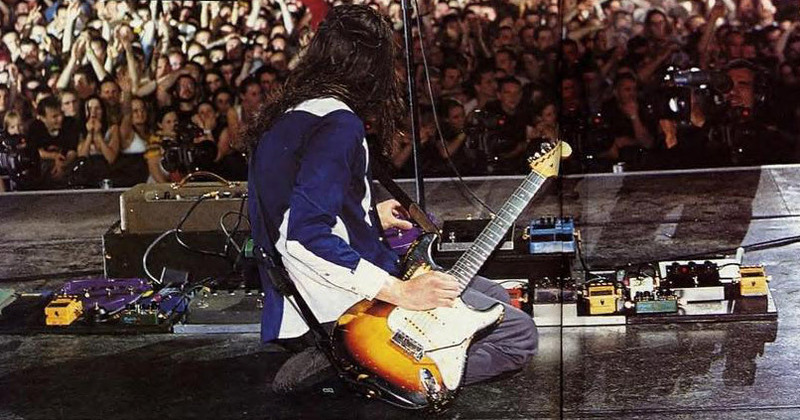 However, John Frusciante Pedalboard fame only began later on in his career. After having left the band shortly after their success, he recorded a good number of solo albums. During this time John Frusciante became notorious for his wide range of effects. He later returned for an extended career back with the Red Hot Chili Peppers. 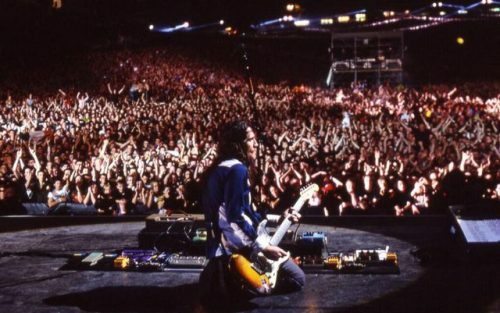 Now, the John Frusciante Pedalboard is in the spotlight more than ever. We’ve divide every John Frusciante Pedalboard status into different eras, with a few details regarding specific pedals. We’ll also recommend alternatives to pedals that have been discontinued, but still appear on this list. 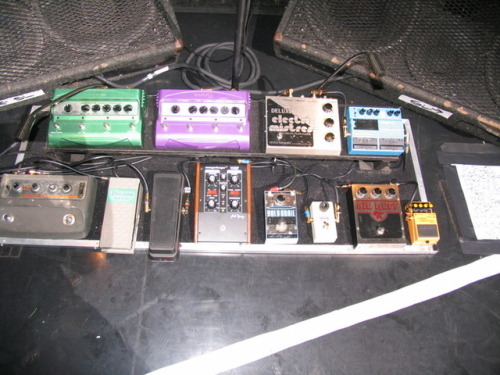 By this time, the John Frusciante Pedalboard contained at least 20 pedals and effects. 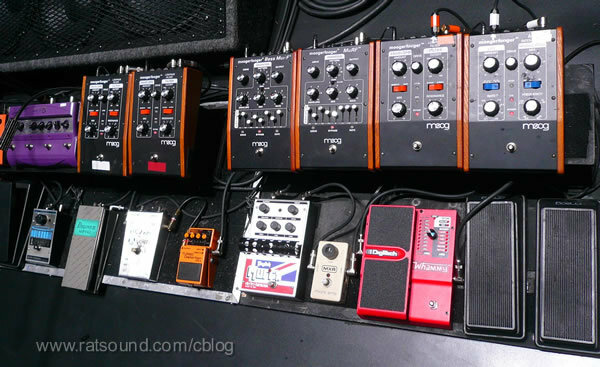 We see how he began to prefer Moog pedals, of which there are 6 on this board. Also during this era, this pedal, or at least a version of the Electro-Harmonix POG, was briefly part of the John Frusciante Pedalboard. 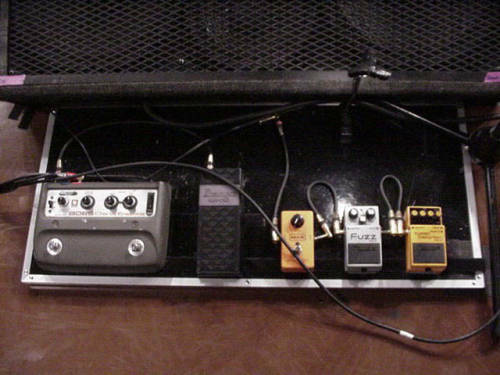 As you can see, the first “career” John Frusciante Pedalboard was pretty bare bones, with not a hint of foreshadowing for the large number of effects to be featured eventually. 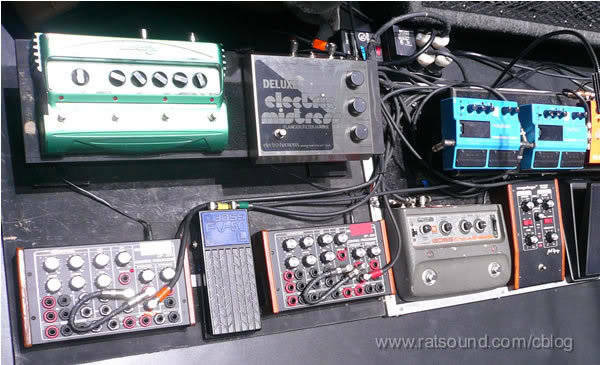 Already, after having returned to the band after a solo hiatus, his pedalboard is indicative of his innovative style, with a full range of effects. The board gets stripped down to the bare necessities for the tour. The Big Muff is a notable addition to the board. 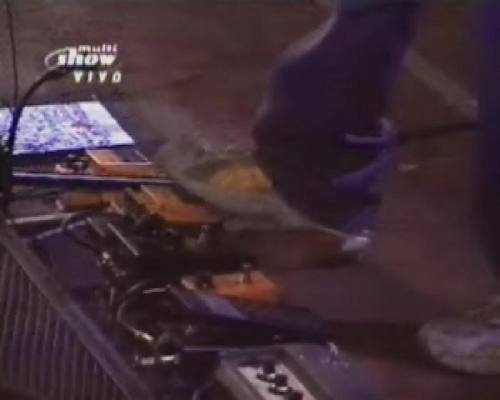 Now we see the full range of pedals John Frusciante began employing on stage. We also see the first Moog pedal makes its debut.